Okay, so as a feminist and an enlightened human, I know that The Little Mermaid contains some of the worst lessons of all of the Disney movies we grew up watching. It also, however, has arguably the greatest soundtrack of the entire canon – which can prove difficult to reconcile, right? I mean, there’s nothing like belting out “Part of Your World” to start your day off right, but maybe you should have a serious talk with your little ones about how Ariel made some terrible and rash decisions that almost destroyed her entire family and way of life. And she did it all for a pretty bland prince who couldn’t even remember what she looked like 24 hours later. 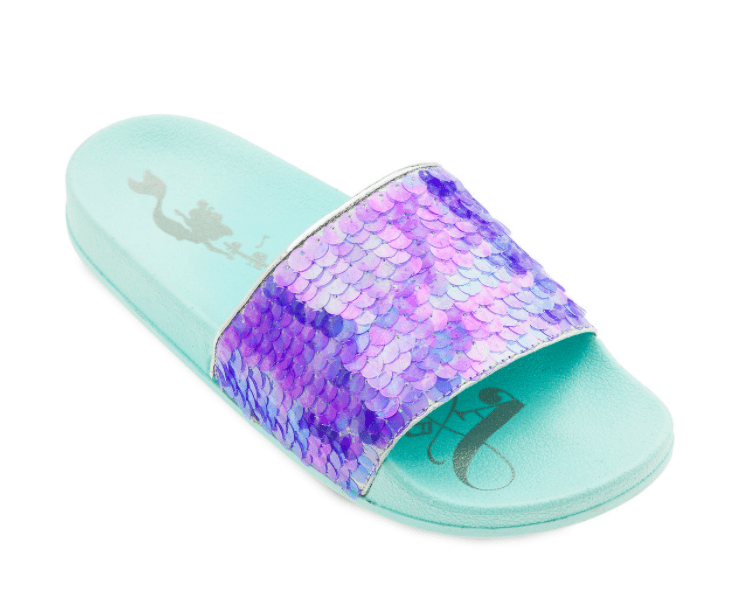 Regardless of your feelings, if you grew up loving The Little Mermaid, the items in this collection from Oh My Disney (officially licensed gear, y’all!) 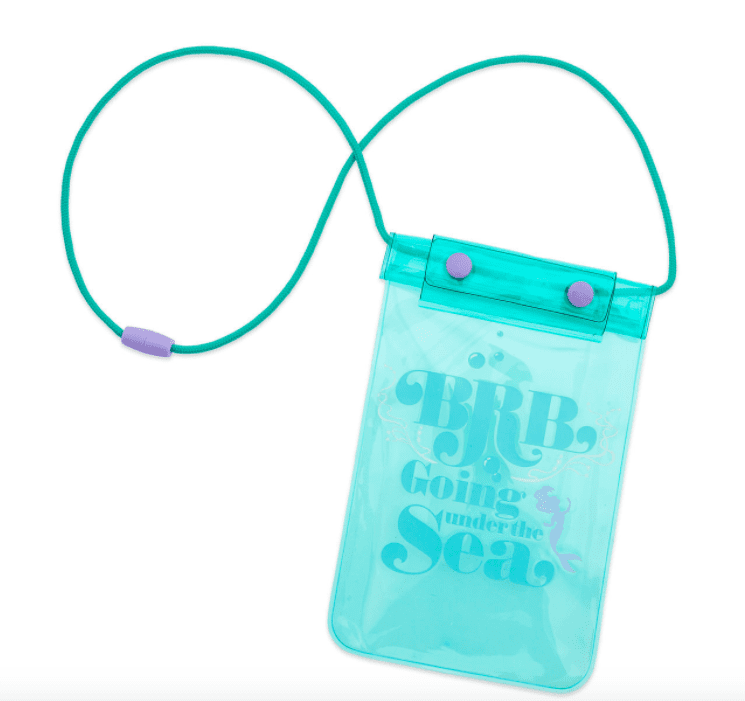 will make you squeal “TAKE MY MONEY” and send you off into a great summer by the pool. 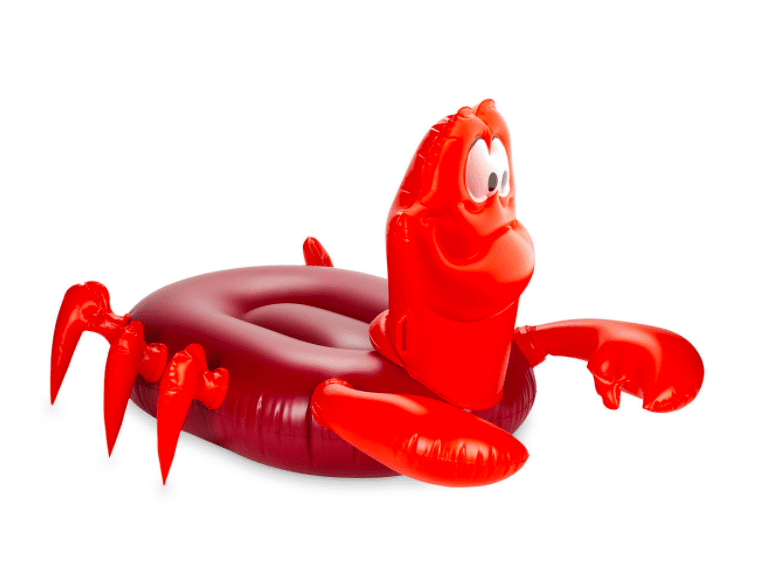 First, the Sebastian pool float. And while you’re floating around, this plastic sleeve will keep your phone from taking a dunk. 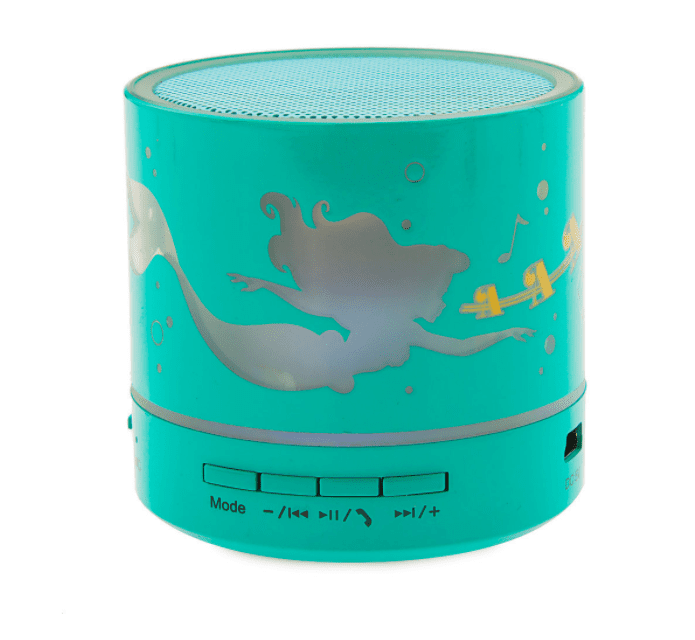 Listen to some tunes while you soak up the sun with this Bluetooth speaker…that LIGHTS UP. 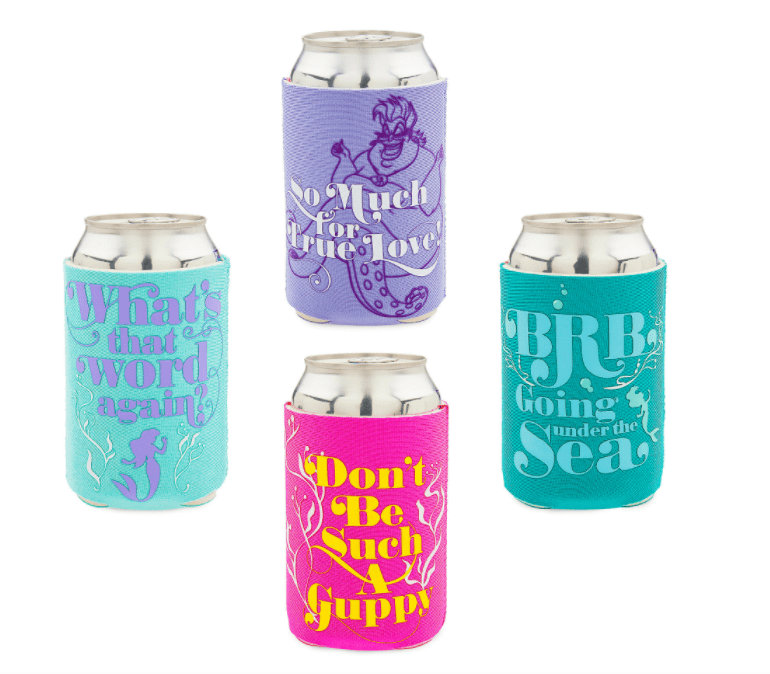 And don’t forget to bring your drink, complete with a whole collection of amazing koozies. Once you’re dry, don one of these adorable tops or the fish scale leggings to show off your style by the water. 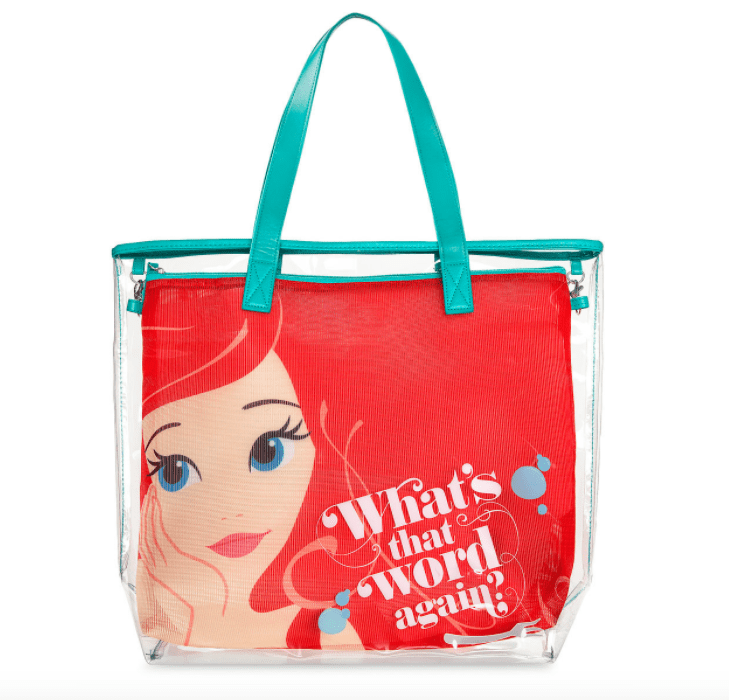 And here’s the perfect tote to stow everything!